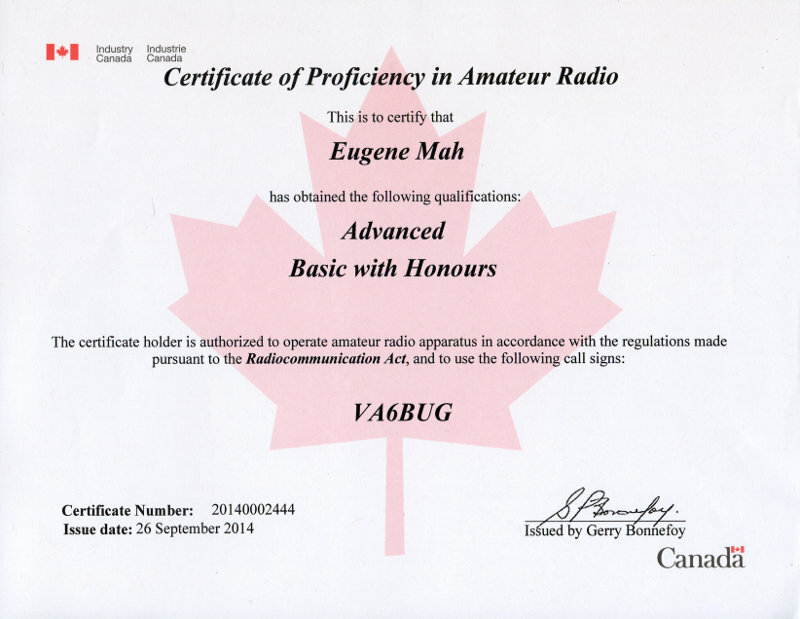 My dad forwarded my Canadian amateur radio certificate to me, and it arrived in the mail today. Looks pretty spiffy. Now I need to get a frame for it. I’m quite pleased and proud of this accomplishment.